When it comes to trendy apparel with bold colors and patterns that stand out, few companies are putting out what the folks at Sligo Wear have been doing for the last few years. Raising the bar in apparel for a company is not an easy task to accomplish with each line, but over the last few years, this brand has done so with each and every release. 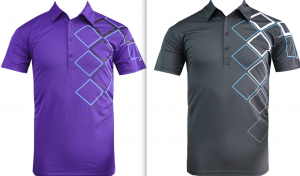 Earlier in the year THP took a look at the Spring line and came away pretty impressed and here is an interview with PGA Tour star Brian Gay discussing that line and the Sligo brand overall. THP got its first look at the Fall Collection in January at the PGA Merchandise Show in Orlando, FL and immediately came away impressed. Thoughts went as far as saying that some staff members (me included) felt as though that this line was the best that Sligo had ever designed and produced. This line was an evolution of all of their previous designs and came to head like a collision of bold and bright colors as well as their patented use of stylish designs that you just do not see elsewhere. The first thing that stood out from this line is the color choices that are used. Shirts like the O’Brien that our readers have seen (and loved) in previous seasons have been revamped with new colors such as the Storm, which is a deep and wonderful purple, or the Smoke, which is a lovely platinum color. Once again, the company stood out for their “mix & max” ways as both of these shirts feature the same secondary colors making matching to multiple outfits a breeze. It is the small details such as this that makes the brand so well received. The colors being imported throughout the different patterns make creating outfits a breeze and then couple that with the designs that Sligo has created for Fall being so well done and you have an absolute winner on your hands. Directly above you will see the Sligo Vibe shirt and the color is called City Blue. It is one of the featured colors of the Fall line and something that stands out extremely well both as the primary shirt color as well as a secondary look. Digitile is a look that we saw a few seasons ago and came away extremely impressed. THP is happy to report that the Sligo brand has it back with some new looks in the Fall line as it comes in Smoke, Metal and Miami and all three of them offer something a little unique to the wonderful pattern that our readers have come to enjoy. Digitile is a unique Moroccan design that creates a stylish look that is both different and bold without being over the top. The new Fall line for 2011 is one of the best THP has seen to date. There are just too many pieces to showcase in a review article, but when a company puts together a line that combines good materials, great color patterns and wonderful designs it is worth taking notice. Few brands make us stand up and take notice with every new release that becomes available, however Sligo seems to be doing that with every new collection that comes out. 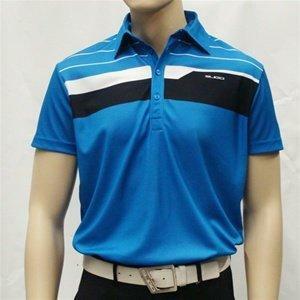 Check them out at www.sligowear.com as well as www.fairwaystyles.com. Nice looking stuff – really like the colors that pop without being too out there. That Vibe shirt is definitely very sharp but I would need to see the shorts in person to know for sure what I thought about them. That white belt is pretty sweet looking also! Thanks JB, I like the Vibe shirt and the Smoke shirt. Thanks JB, nice looking shirts…I really like the Vibe and the Smoke looks pretty cool too! I love the Bayview shirt and Vibe Sweater from Fall line. Great looking stuff. I have a couple Sligo shirts and the material is one of my favorites. One of the few black shirts that you can actually feel cool in. Thanks for the info, Josh! Nice stuff here! The Vibe shirt absolutely rules! Digging that O’brien and the City Blue shorts.the belt buckle is a nice touch. I will be adding a few of these shirts to the fall line up. 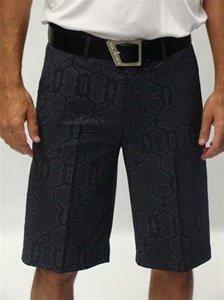 The shorts will be great with a solid shirt with that crazy pattern. I like the Sligo line, some good looking clothes coming out. Great looking line… especially loving the shorts! really like the fall collection. sligo does it again! Having been lucky enough to see some of this in person I have to say that I love it! Really like the city blue! Bright and bold without being obnoxious. That smoke shirt is awesome too! Very good looking shirts, I especially like the smoke color, way to bring it Sligo. I really like the first two shirts. I’ve always loved the Sligo lines and this is no different. Nice work! Sligo always impresses. Really liking the new color additions for the fall. Sligo is without a doubt my favorite golf shirt company. Just like the reviewer said, the fabrics, fit, designs and color choices are all top of the line. I’ll be putting some more Sligo in my collection soon! Thanks for the article! Nice looking line. Really liking the Vibe shirt. Digging those Gerrard and Brighton patterns. Love the City Blue and Storm colors. Well done again, Sligo. Sligo has always had some of the best looking apparel lines. I really like what they are doing this fall. Dang I really like that O’Brien shirt in Smoke. I also like the Vibe shirt, flashy but classy too. I don’t think I like the shorts, but it is hard to tell from the picture. Sligo always comes out with amazing stuff, thanks for the review JB. I’ve seen the Storm color in person at my local Golf Galaxy and it’s a great color for fall! As always the Digitile pattern is fantastic! Great review JB!!! Nice job! Loved the purple. I want it! Really like the look of Sligo line. I need to find me some! Great review! I really like the O’Brien in both the purple and the smoke! !